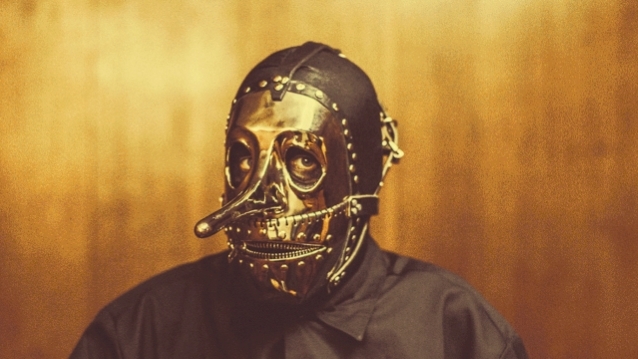 SLIPKNOT has officially parted ways with Chris Fehn. The masked metallers made the split official just days after it was reported that the percussionist had filed a lawsuit against his bandmates, claiming that he hasn't been properly compensated for his years of touring with the group. SLIPKNOT said in a statement: "SLIPKNOT's focus is on making album #6, and our upcoming shows around the world, our best ever. Chris knows why he is no longer a part of SLIPKNOT. We are disappointed that he chose to point fingers and manufacture claims, rather than doing what was necessary to continue to be a part of SLIPKNOT. We would have preferred he not take the path that he has, but evolution in all things is a necessary part of this life." According to The Blast, Fehn claims in his lawsuit to have always been told that the money from merchandise and touring is funneled through one sole company that splits profits and pays the members of the band. However, Fehn claims he recently discovered that his bandmates have set up several other SLIPKNOT-affiliated business entities in different states that appear to be collecting money from the band.